The Grammy award winning legendary percussionist will perform with his exceptionally talented sons – Selvaganesh and Umashankar & his grandson – Swaminathan. '3G Laya Mantra' celebrates Indian classical music and its deep roots in Indian culture. 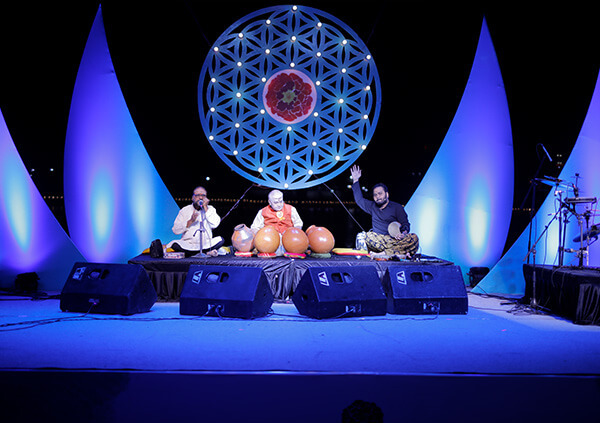 At India by the Bay 2019, three generations of the gifted Vinayakram family will perform together as testimony to their unmatched dedication and love for music. They will enthral audiences with their superlative skills across a series of percussion instruments. The ghattam (Vikku Vinayakram), hand-drums (Selvaganesh), morsingh (Umashankar) and kanjeera (Swaminathan).